Automatic block aligner: The log adjuster´s arm pushes even the curved blocks automatically against the size adjuster fence and along the cutting line. 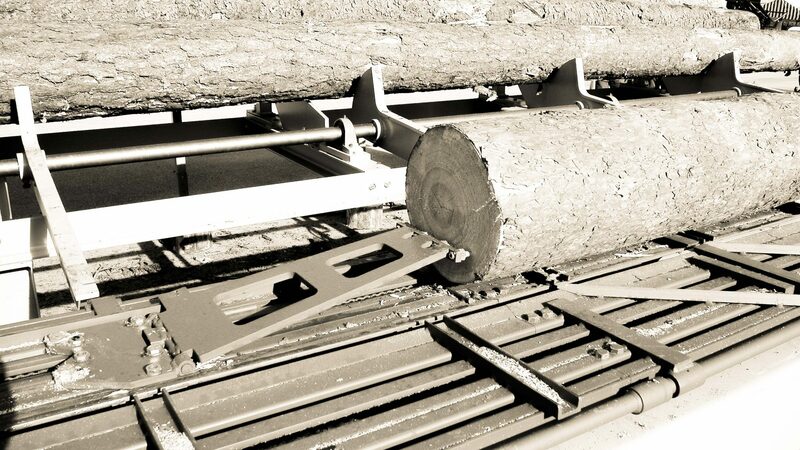 dropping devices for removing the ready sawn lumber from the sawing table. 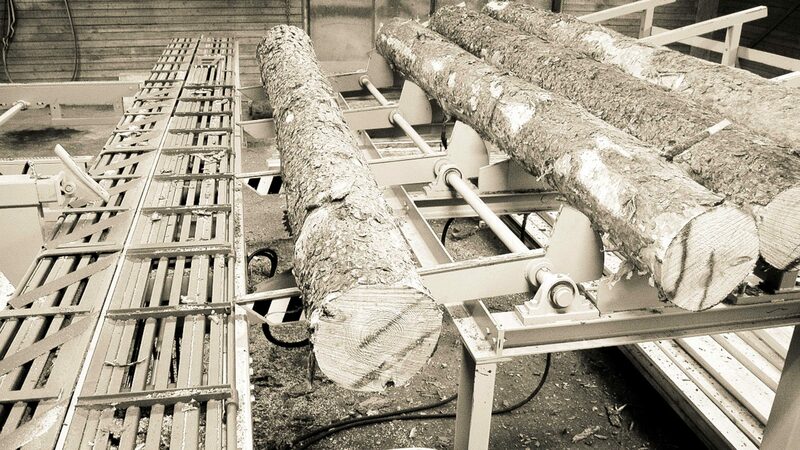 Slabs that need further processing are conveniently returned to the feed end with help of the KARA backing wheel for slabs.